Last weekend the mainstream media did exactly what it’s not supposed to do, but does all too often with anything that pertains to President Trump: Jumped on a viral story without first checking the facts, and created a fake news story that has children terrified for their lives. And in so doing, destroyed the lives and reputations of innocent teenagers who had simply been on a school trip to D.C. to attend the annual March for Life. As new information came out, and it was clear the original narrative was no longer supported by facts, the media began walking back its original reporting. But only insofar as to admit that they ‘might’ have read the circumstances wrong. But it was too late. The anger against these students – who were being accused of harassing and taunting a Native American man because they were ‘racist’ and white privileged – had already boiled over. Their school has since been canceled over security concerns, students have been receiving death threats, and there have been demands that the school shut down. Because of the malice and vindictive hate the press has for President Trump, the lives of these high school children has been forever damaged – all because they were wearing a MAGA hat. Here is what it looked like when the media dogs went after these children. Let’s not forget what Hollywood actors were tweeting about the kids. Once the facts came out they rushed to delete their tweets. 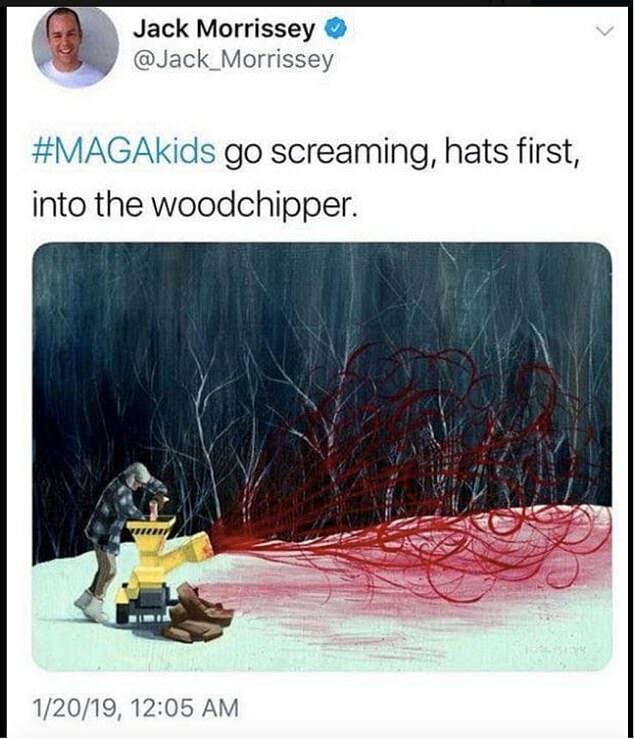 Jack Morrissey, the film producer whose credits include Beauty and the Beast and movies from the Twilight franchise, deleted this tweet about ‘MAGA kids going screaming, hats first, into the woodchipper’. 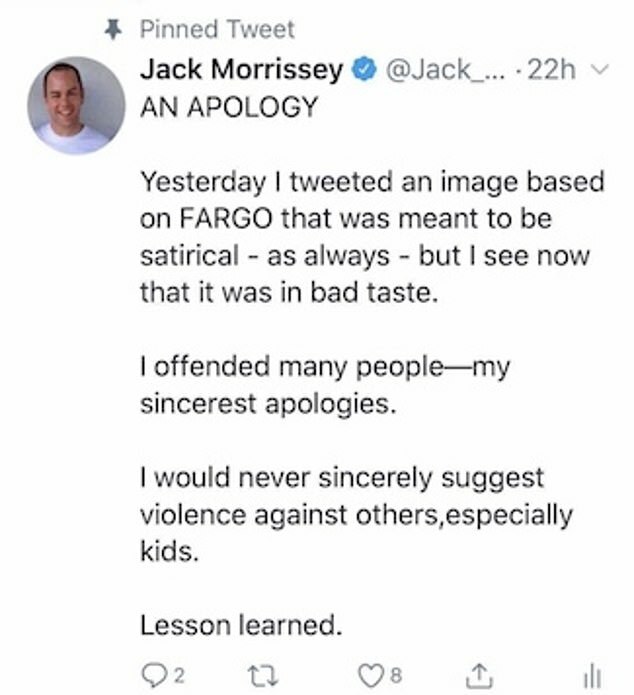 Morrissey later tweeted an apology, writing: ‘Yesterday I tweeted an image based on Fargo that was meant to be satirical – as always – but I see now that it was in bad taste. I offended many people – my sincerest apologies. I would never sincerely suggest violence against others, especially kids. Lesson learned’. 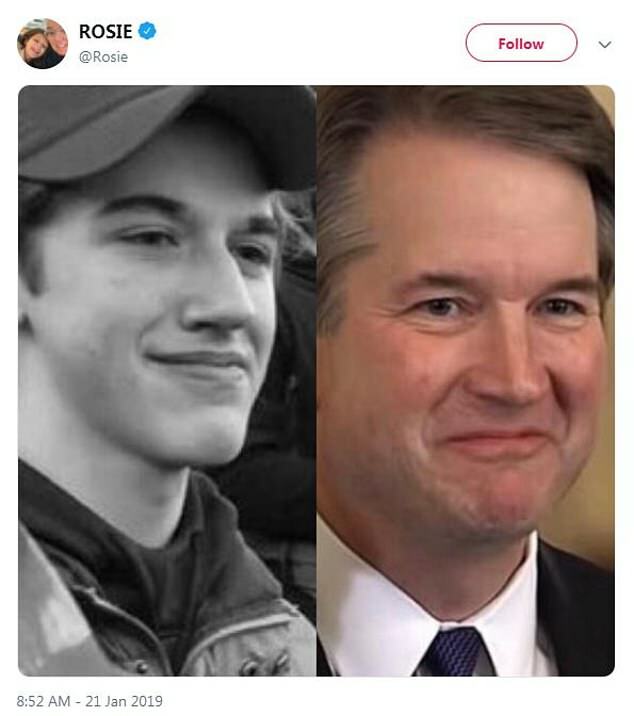 Rosie O’Donnell, who has always been an outspoken advocate of liberal causes, tweeted two photos: one of Sandmann smirking on Saturday, and the other of Supreme Court Justice Brett Kavanaugh with a similar facial expression. It goes on and on. 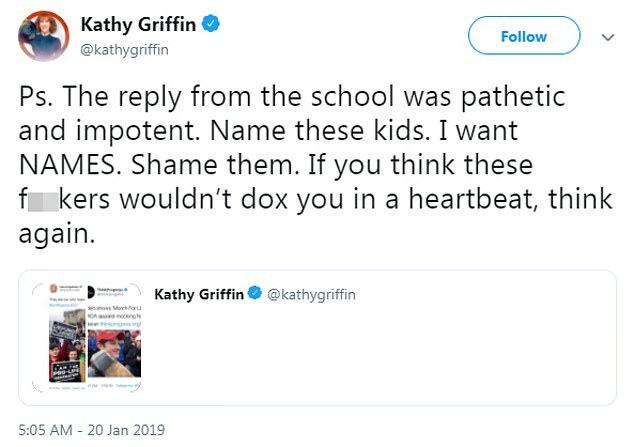 Every one of these people who attacked these children should issue an apology, and while some did, it was more to save face and their careers, if they really cared about the kids they would have contacted the children, not tweeted an apology to their followers.